How to Make Homemade Bubble Bath for Pennies! Sometimes there is nothing more calming and soothing than a warm bubble bath. I love to take my Kindle in, light a few candles, put my favorite music on through my bluetooth speaker and soak for a bit while reading a good book to relax. Having that alone time is super important to me since I am very introverted. I need that time to gather my thoughts and regroup; especially now since the Monkey Child and I are living in a hotel to save money. Being in such close quarters can be stressful at times to put it mildly. In other words, my bubble baths are what keeps Mom sane and my daughter knows it. That importance is why, in 2015 when my family stopped buying as much as possible and starting making things homemade, learning how to make homemade bubble bath that gave me the scent and bubbles that I loved was a priority for me. 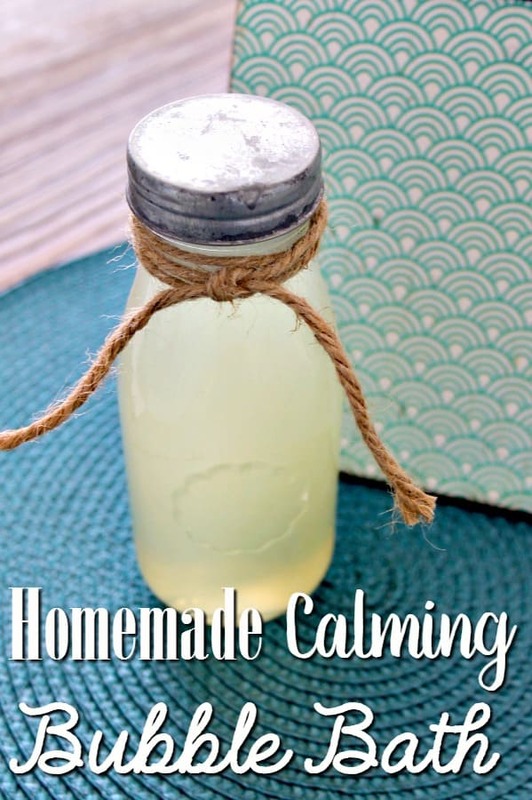 When you make this homemade bubble bath, you can use any container that you would like. I like to use an upcycled bottle for mine. In fact, it is one of my favorite ways to reuse bottles. Upcycled Starbucks Frappuccino bottles that have been washed and dried work especially well, but use what you have on hand. 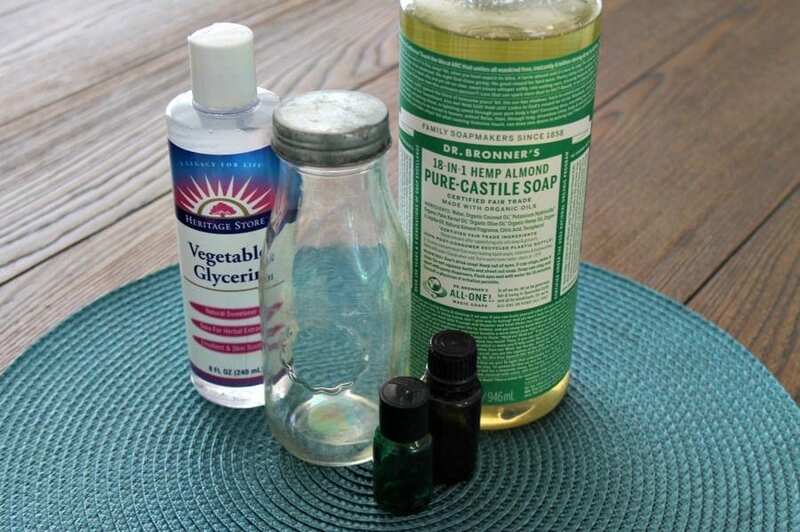 If you’re looking to store your homemade bubble bath for more than a couple of weeks, you’ll want to use a dark glass bottle instead of a clear one. Since it has essential oils in it, the dark glass bottle will help the essential oils to keep their properties longer since light is the enemy of essential oils. Do not use a plastic bottle. The essential oils can cause the plastic to break down and leach into your homemade bubble bath. This homemade bubble bath uses lavender essential oil and cedarwood essential oil because of the calming properties they both have. You can use other oils in it if you would like. Just be sure that the oils you use are 100% pure essential oils. If you use impure oils or oils that are cut with something, you risk adding unknown chemicals to your homemade bubble bath. I personally prefer to use Plant Therapy essential oils. 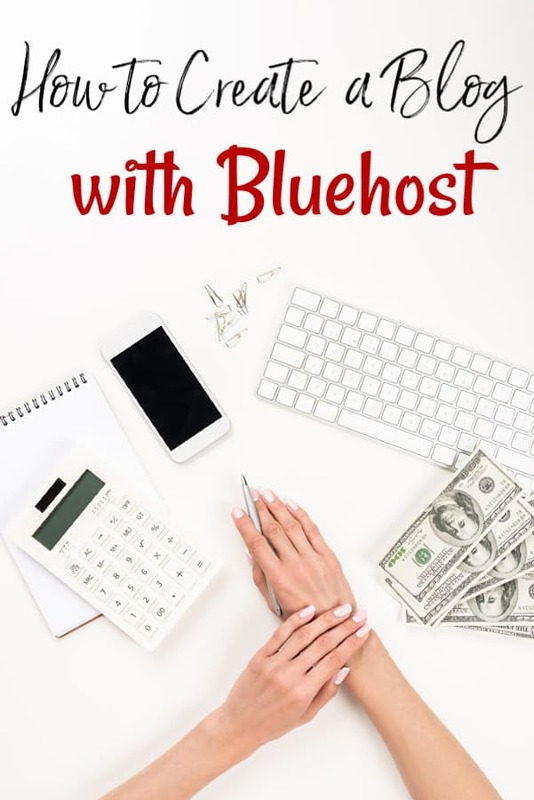 They’re budget friendly essential oils that I know are pure and safe for both myself and my daughter to use. 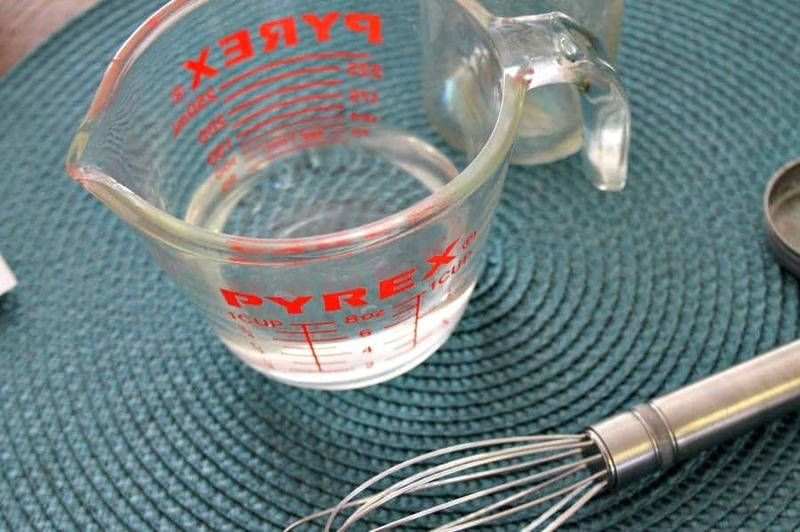 Add 1 cup liquid Castile soap and 1/2 cup distilled water to your measuring cup then whisk together. Don’t worry if the mixture foams up. The soap will do that a bit on its own. 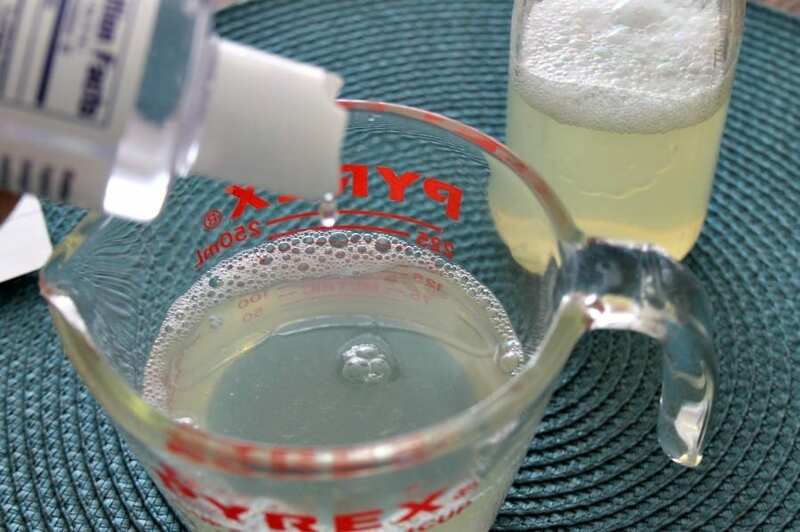 If you don’t want to use almond scented Castile soap, that’s perfectly fine. You can use unscented if you would prefer. Almond mixes well with most essential oils and keeps them from being super strong. If you use unscented, be aware that the only scent your homemade bubble bath will have is the scent of the two essential oils. Next, add both the lavender and cedarwood essential oils. 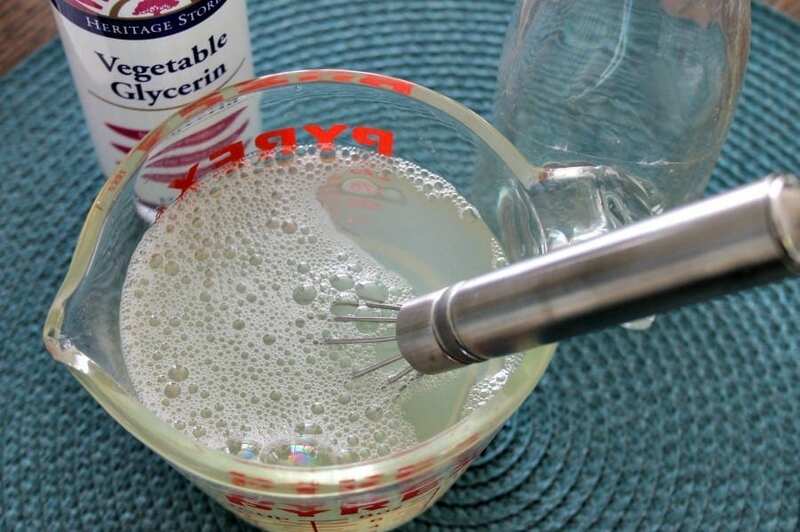 Whisk gently to combine the oils well being careful that you don’t splash and waste any. Once you’ve added the essential oils, add the vegetable glycerin to the measuring cup and whisk until your homemade bubble bath is combined. 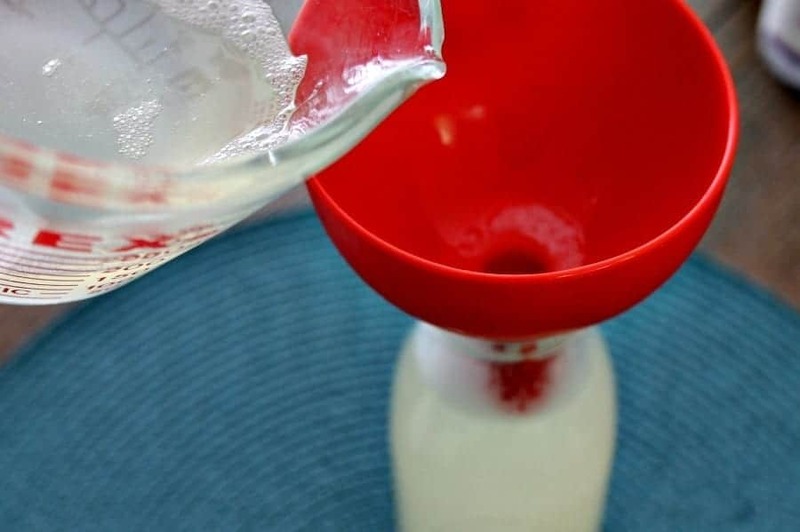 Using the funnel, pour your homemade bubble bath into your glass bottle. Add a lid and a printable label and you’re set for your next bubble bath! To use, add 1/4-1/2 cup of homemade bubble bath to a full bathtub full of warm water. Store with a lid. See how easy learning how to make homemade bubble bath is? It comes together in just a few minutes and works just as well (if not better!) than the store bought stuff! Plus, it makes an amazing homemade gift idea! Pair it with our homemade coconut shampoo and our homemade hair detangler and you’ve got an amazing homemade gift basket!